To learn about auto transport to Norway or for a FREE quote through A1 Overseas International, call 1-800-450-5319 or fill out the form! 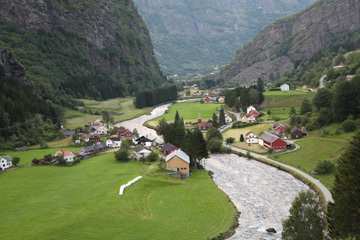 In order to transport a vehicle to Norway, you must follow their strict import and export policies. This isn’t easy to do without the help of professionals. A1 Overseas International has plenty of experience and all of the right qualifications to assure a secure transport to the country. All countries have different auto import policies. The best way to receive the most current policy restrictions are through the Embassy of Norway. Give them a call a couple months before you need the vehicle to arrive into the country. Then, begin preparing immediately. Preparing a vehicle for international auto transport can be done in no time. It isn’t all that strenuous and it is very helpful in the auto shipping process. The preparation required also makes certain that the vehicle’s journey is safe and timely. Wash the vehicle and make sure there is no debris or dirt. Clean out the inside, even steam clean. The only items that should be left in the vehicle during the shipping process are the floor mats, car jack and spare tire, unless you chose enclosed shipping. Take pictures of the vehicle for guidance during your last inspection. Snap photos of any preexisting damage. Check all fluids in the vehicle and fill the tires with air if necessary. Don’t let the fuel tank go over ¼ full. Remove any items that weren’t manufactured with the vehicle originally. This means the DVD players, speakers, GPS systems, and other similar items are taken out of the vehicle. Clean out the trunk of the vehicle to make sure there is no added weight or anyway the vehicle may fail inspection before it is imported. Submit our form or call 1-800-450-5319 for more info and a FREE price quote on boat, motorcycle and car shipping!